> > Baraha/Nudi were designed for office documents, not school work. > > Transition to Unicode/UTF-8 for text is not yet complete. > and religious Kannada literature is available in Unicode? > > average height. 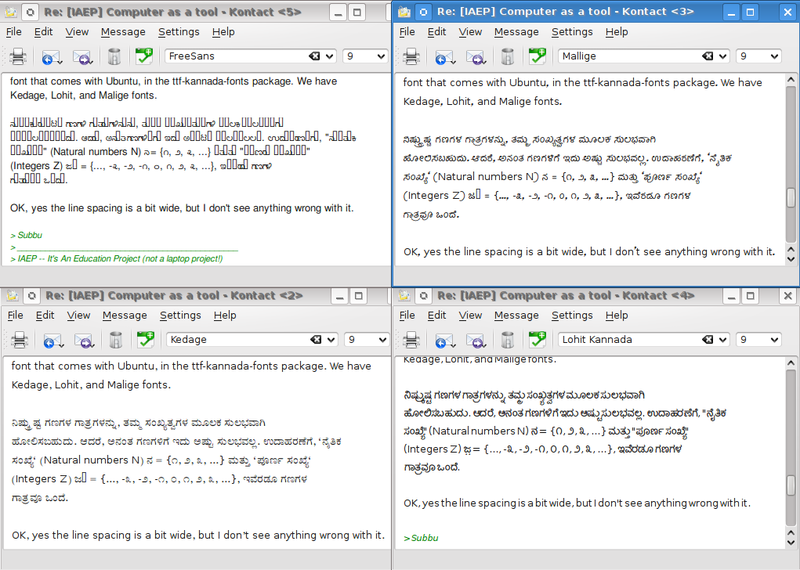 Indic text will appear visually smaller in mixed context. > > You will see this effect in mailing lists like Indlinux-group. > > Fontography is yet to catch up with Typography. > Kedage, Lohit, and Malige fonts. Kedage is barely readable. Only Lohit rendered Za correctly.